Similar to the last Super Bowl event, the Super Bowl 2019 show is said to have similar vibes. With time, the game has grabbed eyes of sports lovers and especially those to watch football events. This time, there will be something different which you will witness as soon as the event kicks off. Again, the weather will not play an essential role, and the game will be played in an indoor format. Still, the attendees will want cooler temperatures throughout the Super Bowl 2019 show. Viewers from any parts of the World can watch the NFL Super Bowl 2019 live stream online from any devices through the official websites of NFL. Talking about teams, the Rams beat Saints to make their place into the Super Bowl 2019 show. In their upcoming match, they will play the mighty Patriots. The Patriots have beaten Chiefs later Sunday in the ever enchanting AFC championship. Moreover, every single team is looking in full force and will do the impossible to beat each other. Now, let’s ahead, learn about the groups, prediction and let you know the time, date and venue. When will the Super Bowl 2019 show Start? The marvelous Super Bowl 2019 show also known as Super Bowl LIII will be held on Sunday, February 3, 2019. The kickoff for the match is scheduled at 6:30 PM E.T whereas large crowd was coming is highly anticipated. CBS will have the live stream online coverage of 53rd Super Bowl event. Ever since the Super Bowl 2003 show has taken place, the fan base of this event has grown exponentially. People from all over the world book tickets to watch Super Bowl event, with happiness. Where will the Super Bowl 2019 show Take Place? 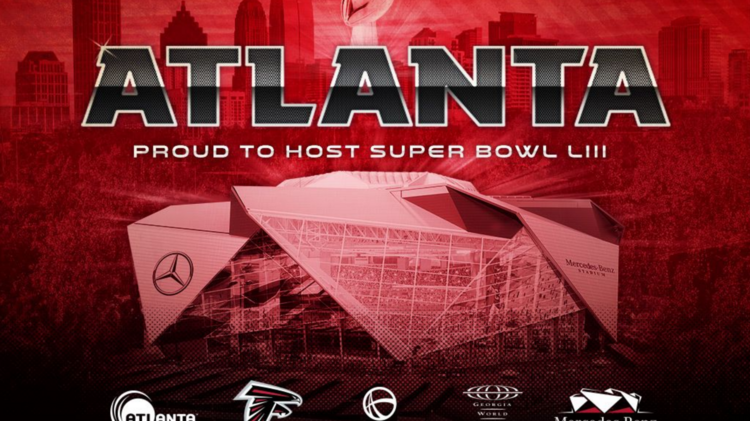 The Super Bowl 2019 show will take place at the Mercedes Benz Stadium. This stadium resides in Atlanta which is an all-time famous venue for sports matches. The venue was completed in the year 2017, and since that year, it has hosted some brilliant matches. To be precise, the Mercedes Benz Stadium can fit around 71,000 whereas the stadium can expand to accommodate 80,000 people. Right on the top, the roof of this stadium is made up of reliable quality and can withstand any weather conditions. Hopefully, as and when the Super Bowl 2019 show will start, the roof won’t is leaking and people can sit without an issue. For the very first time since the Super Bowl 17, Patriots are entering the event as the underdogs. There have been ups and down, but this time, the team is looking quite balanced and will look to defeat the competition. Also, from OddsShark, NFC champion Los Angeles started their campaign as favourites in the Super Bowl 53 event. They are also set to be played on February 3 whereas some tough competition awaits their presence. Also, for the Rams, they have been the hot favourites of the AFC event. Every match they have played to perfection and will be meeting the Patriots in the mega clash at the Super Bowl 2019 show. As the case goes for other teams, all of them will try their best to be in good form, play their best and certainly win the title. Till now, the most active team on paper and performance are none other than the Rams. Still, we can’t possibly say much, and everything else will be decided straight on the match field. Every team in Super Bowl 2019 show is looking quite fiery and confident. The event will take place at the Mercedes Benz Stadium and crowd is expected to come in huge numbers. Being a fanatic, you can only do one thing. Either grab tickets, watch Super Bowl 2019 show online and cheer for your favorite team with passion and satisfaction.